Accumulair - "Any Size. Any Time.™"
Economical, high-capacity media makes this filter an ideal upgrade from standard fiberglass throwaways. Available Sizes: 1" | 2" | 4" | 6"
Captures a wide variety of airborne allergens including dust, mold, pet dander, and dust mites. 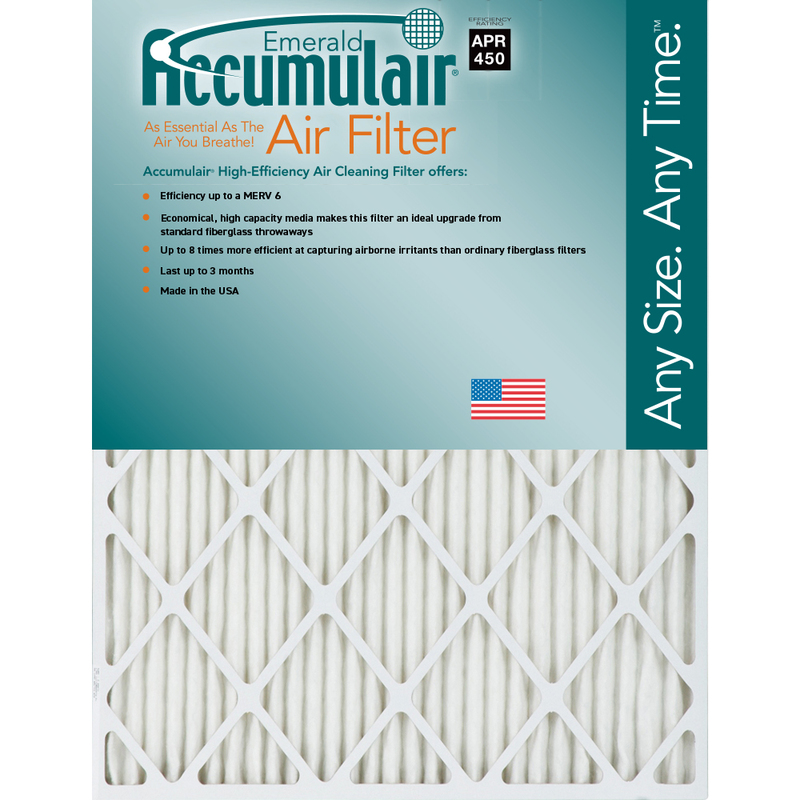 Up to 8-times more effective at capturing micro particles than ordinary fiberglass filters. Excellent for high-velocity systems and maximum air flow.